Housed inside the New York Botanical Garden’s 116-year-old Enid A. Haupt Conservatory, the largest Victorian glasshouse in the United States, the Holiday Train Show has been a holiday must luring locals and visitors alike to the Bronx since 1992. Now in its 26th year, the annual event serves as a miniature approximation of New York City, with pint-sized replicas of iconic structures such as the Brooklyn Bridge, One World Trade Center, Yankee Stadium and the conservatory itself, each built by hand using natural materials like twigs and tree bark. Adding to the wonder of the cityscape is nearly a half-mile of railroad tracks circumnavigating the display. I have been to this one – the buildings and bridges are totally amazing. This year’s display features a quarter mile of garden-scale train tracks comprised of—wait for it—seven loops and tunnels, 15 different rail lines, two cable cars, and nine bridges, including one trestle bridge you can walk under. The jury is still out on whether or not there will be a partridge in a pear tree. Since 1946, people of all ages have made it a tradition to see the Duke Energy Holiday Trains in Cincinnati, and this year is no different. Featuring hundreds of model trains that the museum has acquired over the years, some of which date back to the early 1900s, the 9,000-square-foot display is easily one of the country’s oldest. 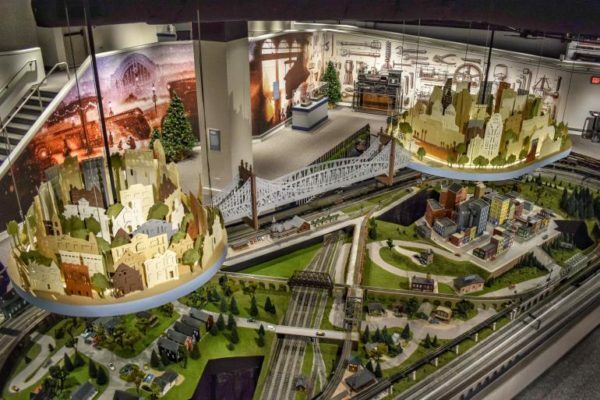 This year’s event is in a new and updated space inside the museum, and features stylized replicas of the Cincinnati and Northern Kentucky skylines designed in Art Deco—a nod to the museum’s architectural roots. 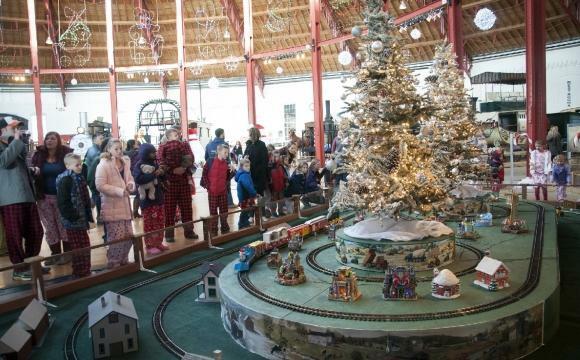 Located inside the museum’s cavernous roundhouse, which once served as a working passenger train car shop for the B&O Railroad, the Magical Holiday Express celebrates trains of all shapes and sizes. 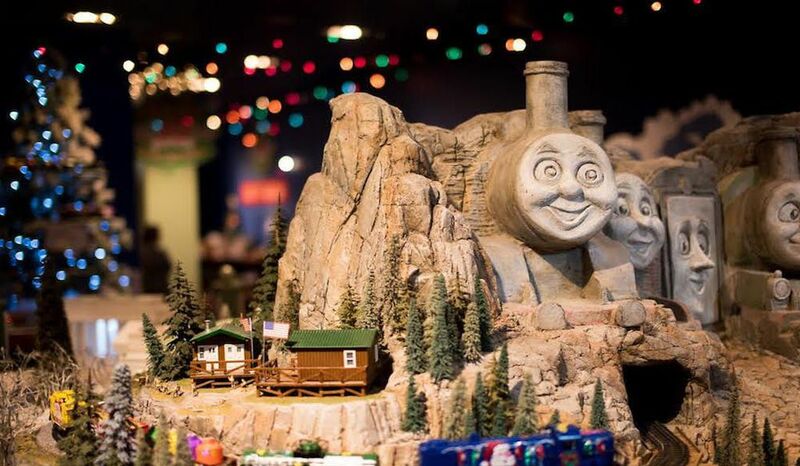 Climb onboard a working train and meet Frosty the Snowman, or simply marvel at the many different model trains on display. English model railway shows are a completely different experience to any I have visited here in the USA. One of my pleasures is watching vids of the English shows. 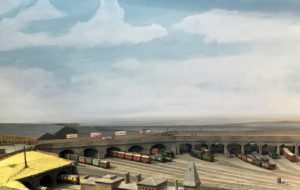 This vid – 1 of 4 – is of the York Railway show. As you will see there are a variety of scales depicted. A word of warning – the vid is 20 minutes long. My favorite layout is one named “Behind the Lines” and shows the “action” behind the lines in World War I. It’s at the 17 min 55 sec mark. 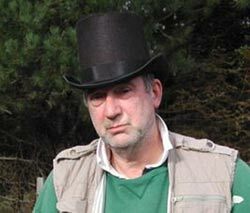 The second vid is much longer but for those Club Members who are ex SP this one will surely appeal. I tried to find a website for the club but failed to do so. So, sorry, can’t give you a heads up. Great layout …… I got several ideas for our layout whilst watching.